Valentine’s Day can be quite a divisive subject matter. 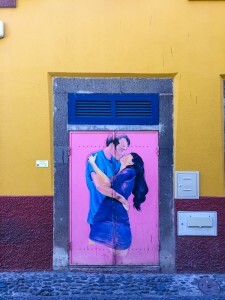 Perhaps one angle you haven’t considered yet is whether a door can be romantic? This month, I’ve been reflecting on how you could take advantage of the evocative symbolism of love through the charm of a beautiful door. Just call me cupid. 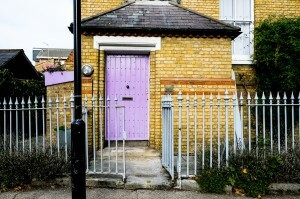 You might think that a penchant for doors is a tad eccentric but let me assure you – it makes for perfect dating material. Classically, when you first meet someone an early question tends to be – what do you do? Telling them you take photos of doors normally raises an eyebrow, but intrigue is piqued. I tend to follow up that opening line by whipping out some of my finest photographs. Usually, the person takes an initial moment to assess my level of sanity and then admits that they hadn’t realised it until now, but perhaps they too, are into doors. Since there’s now common ground, the natural step is to go on a date and why not continue the shared interest through a door walk? Even if you’re not a door-obsessive, it’s a perfect date as there’s no distractions from getting to know each other aside from the occasional ‘Phwoar, there’s a cracker!’. 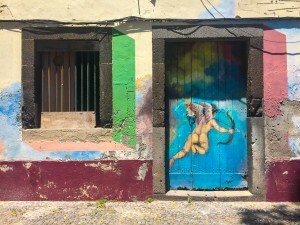 The key is picking an area where there’s bound to be plenty of interesting doors, punctuated with regular watering holes for refreshment along the way. 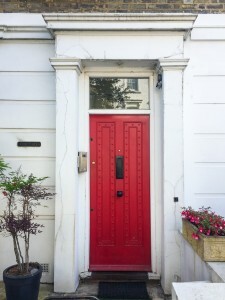 In London, you’ll find classy doors in Kensington & Chelsea, bright ones in Notting Hill & Kentish Town and arty numbers in Shoreditch & Hackney. Add a Valentine’s twist by keeping an eye out for pink and rouge – two of my favourite colours on a door, particularly when coupled with a white painted wall. In case you’re not convinced yet by the virtues of this line of dating, I’ve collected some feedback on a door walk date I went on earlier this year. We settled on Highgate as the perfect place for a gentle stroll and the only thing that stopped us walking all night was the pesky sunset. In his own words, “This date was the feel-good hit of my summer” and it “rocked my world”. For those already happily coupled up, you may be scratching your head thinking of what present to express your love for the other person. Again, I urge you to think of the humble door. If you know your partner’s favourite colour, why not surprise them by giving the front door a makeover so they have something to smile at when they return home? Nothing says ‘I love you’ more than a personalised present and a public declaration of your adooration. So whether you’re already lucky in love or on the prowl, unlock the metaphorical door and embrace the opportunities it brings.